Check out Tobi's Party In The Hills Ruffle Blouse Meet you in the Hollywood Hills. 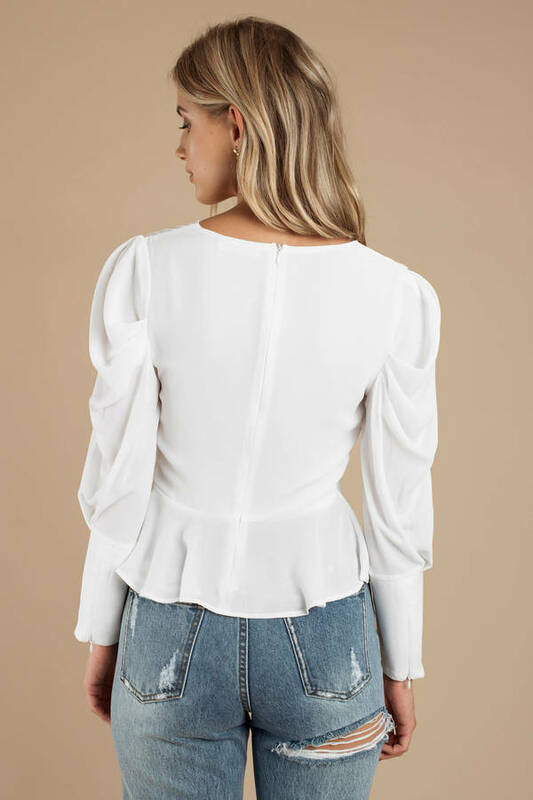 You gotta get the Party In The Hills White Ruffle Blouse. This tie front top features puff sleeves with large cuffs, plunging v-neckline, and a flared hem. This ruffled peplum top will look great with high waisted culottes and mules! Meet you in the Hollywood Hills. You gotta get the Party In The Hills White Ruffle Blouse. This tie front top features puff sleeves with large cuffs, plunging v-neckline, and a flared hem. This ruffled peplum top will look great with high waisted culottes and mules!